We finally got a light drizzle, and forecasters are calling for actual rain later this weekend. In two decades of living in Seattle I've never seen a fall like this. The mushroom season was basically a non-starter. Fungi began to appear right on schedule despite the dry conditions, especially lobsters and white chanterelles, but without a drop in September and the first third of October, most mushrooms stalled out and withered beneath the duff. The weather, or lack of it, has been tough on the region's commercial foragers. Normally golden chanterelles and porcini are the focus this time of year. 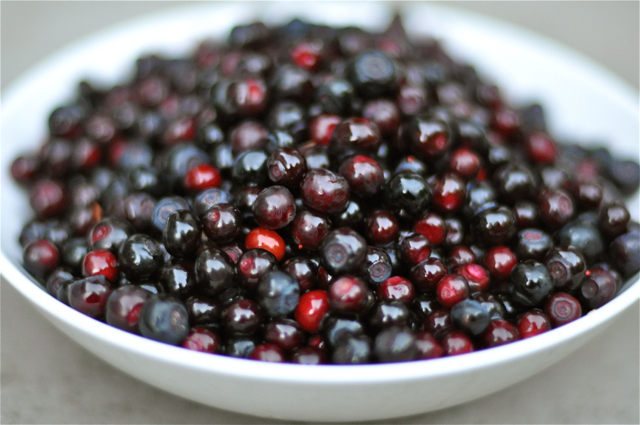 Instead, the pickers have been extending the huckleberry harvest. My own freezer is filled with bags of huckleberries, too, and blackberries. 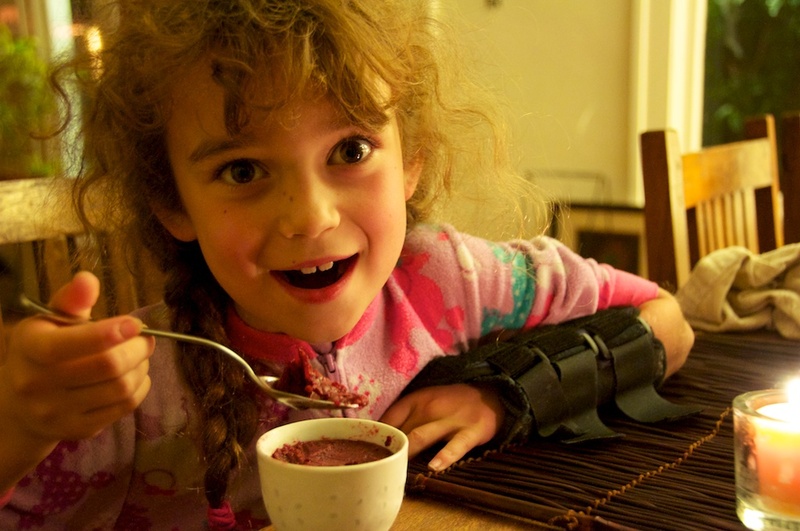 My daughter can't get enough for smoothies, yogurt parfaits, panna cotta, coffee cake, and other treats. 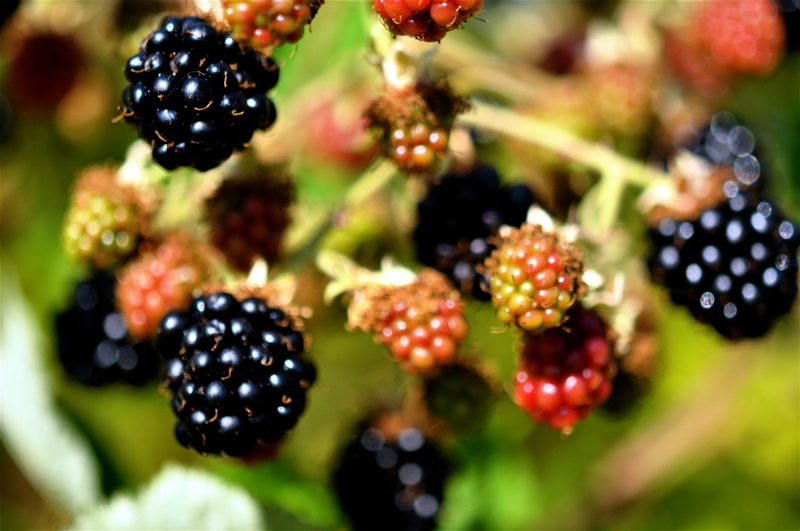 These are the go-to uses for berries in our family, in addition to my own favorite, cobbler. 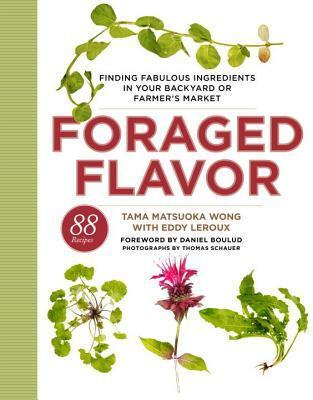 Looking for something new, I turned to Foraged Flavor by Tama Matsuoka Wong for inspiration. Wong is the house forager for New York's Daniel restaurant, part of Daniel Boulud's empire. With help from the restaurant's chef de cuisine, Eddy Leroux, she's given the usual dirt-under-the-fingernails foraging book a more culinary twist. Arranged by season, Foraged Flavor is a catalogue of wild foods (with an East Coast emphasis) and recipes that have passed muster in Manhattan's cutthroat dining scene. "Although sometimes startling and sharp," Wong writes in the introduction, "a wild taste is often more complex...with a symphony of flavors and notes. Similarly, wild plants look and act more like individuals, as they have not been airbrushed or altered to sit on a supermarket shelf like Hollywood stars." Amen. Most foraging books are identification guides that dwell on the finding rather than the cooking. Wong's book takes a different approach with its focus on cuisine. True, the book comes with color plates in a DK style and helpful notes on habitat and key characteristics. But it is the scores of recipes, more than eighty in all, that will make this a dog-earred addition to the forager's bookshelf. The recipes are spare and simple, highlighting the arresting flavors of the foraged ingredient. There are several variations on salads (e.g., Cardamine Cress with Fennel and Orange Vinaigrette), dips (Garlic Mustard Eggplant Dip), and syrups (Pineapple Weed Syrup). Some of the recipes that have caught my eye, earning a bookmark for later: Curried Lamb and Lambsquarters Meatballs, Sweet and Sour Daikon Radish with Crushed Juniper Berries, and Candied Violet Flowers. Say the authors on their recipe for Wild Berry Popsicles: "The rich and layered blend of berry tastes make this an out-of-the-ordinary treat." If you're lacking in popsicle moulds, make a sorbet instead, as I did with an equal mix of huckleberries and blackberries. 1. In medium saucepan, bring to boil 2 cups water, sugar, and vanilla extract. Remove from heat. 2. 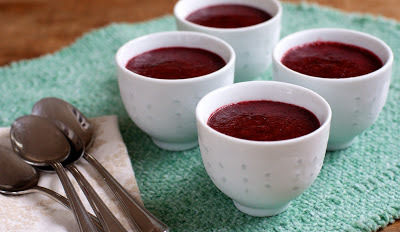 In a blender, puree the berries and then add the sugar syrup. Blend together until smooth (about 2 minutes). Strain through fine mesh or cheesecloth. Spoon into moulds and freeze until solid, at least 4 hours. Manhattan may have a highly critical restaurant clientele, but this simple sorbet got the thumb's up from the most exacting berry aficionado I know. yum. remember going hiking some years ago with a bunch who didn't grow up here, and all resisted when I excitedly harvested some huckleberries along the side of the trail and ate on the spot. Silly them! They missed out on a treat.